While mastering the art of being a modern gentleman is of great importance, what’s almost more fun and interesting is styling the younger generations. Whether it’s your son, your nephew or your godchild, a gentleman’s role to play in a young toddler’s life is encouraging him to follow in your fine footsteps! While manners and general behavior is of course number one on our priority list, style is not so far behind. We’ve put together a list of some of our favorite items for the junior gentleman that might inspire you for his next gift! Not only are sunglasses an excellent style accessory but they also play quite an important role in protecting children’s eyes from the sun’s ultraviolet rays. So make sure to get that perfect pair of shades with UV protection for your young gentleman. Ray Ban Junior sunglasses are a highly stylish option, while providing good UV protection. You can find a wide variety of different shapes, sizes, and colors of Ray Ban Juniors here, so you can tailor the style to your junior’s face shape. On a young gentleman, tuxedos can be an absolute knockout. For an item that will probably not fit him for very long, junior tuxedos can be quite expensive. This makes them suitable for a very special event or occasion – some of which, a tuxedo is an essential part of the dress code. Getting the size of the shirt, waistcoat, jacket and trousers right is often the hardest part so make sure to follow a guide like this one or find a very helpful store assistant. Trouser braces for both young and old can be a wonderful accessory for both casual and formal occasions. Braces do not just add a classy touch to a junior gentleman’s outfit, but also an injection of personality and taste. The young man may have a lot to say about which style or color he prefers. If you’re both big fans of braces, perhaps the option of matching trouser braces is on the cards for you! For another injection of personality, perhaps try seeing if your junior would fancy entering into the world of hats – something which you yourself are probably very familiar with. There is a large variety available for young boys but when veering in the classy direction you’ll find it’s slightly more limited. Stick to what you know, and every modern gentleman knows a top hat. This can be a very stylish accessory for big occasions or even fancy dress. 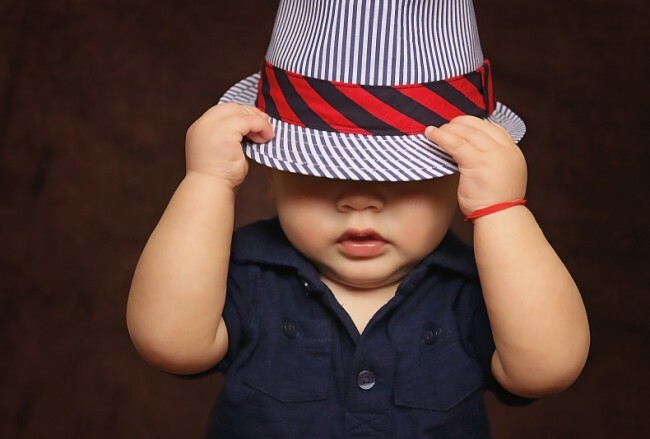 Another option that generally pairs well with a casual shirt and some sunglasses, is the fedora for boys. This can be a great way to protect kids’ heads from the sun but also, the perfect stylish accessory for a summer holiday.